All SANTA RITA RANCH PARCEL 5 homes currently listed for sale in Mesa as of 04/23/2019 are shown below. You can change the search criteria at any time by pressing the 'Change Search' button below. 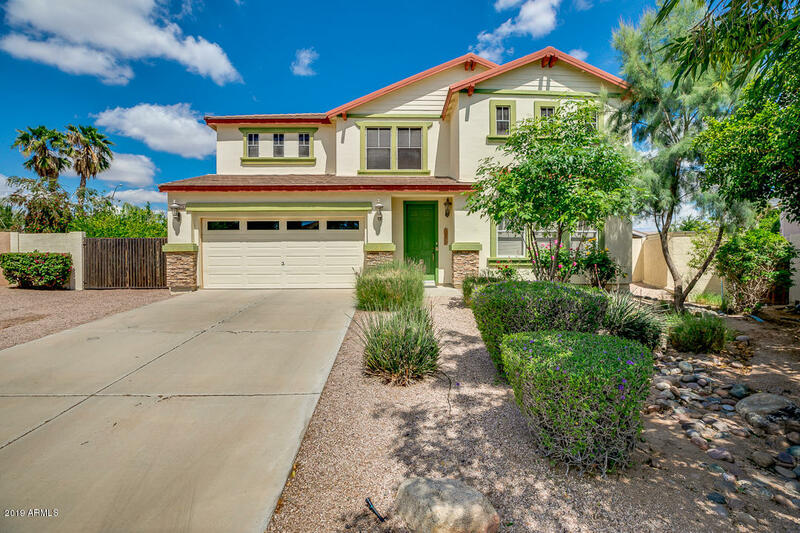 "Truly impressive two-story FULLY FURNISHED property situated in desirable Mesa is now on the market. This amazing home features great curb appeal, gravel front landscaping, & RV gate. Outstanding interior provides 4 bedrooms, 3 bathrooms, tiled fireplace in living room, dining area, spacious loft, & neutral color palette throughout the entire house. Dreamy kitchen is complete recessed lighting, large island with sink & breakfast bar, cabinetry w/ crown molding, pantry, granite counter-tops, and "
"Listed Under Appraisal! 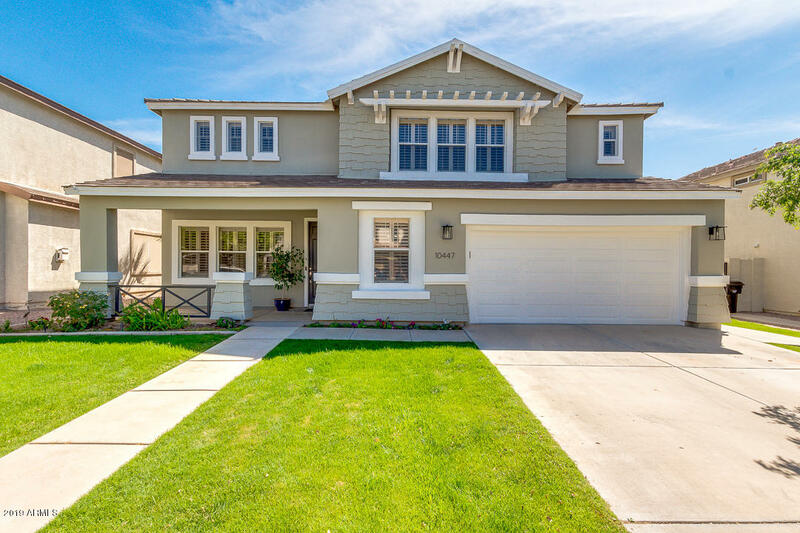 5 bedroom 2.5 bath is open,spacious, bright and full of upgrades! Formal living and dining have gorgeous high soaring ceilings,trim molding touches and plantation shutters thru-out. The beautiful cherry wood laminate runs thru out the lower level into a beautiful upgraded Chef's kitchen complete w/ breakfast bar, island, SS appliances, custom tile backsplash, and Granite countertops. Upstairs features a large open loft and 3 larger bedrooms than your new builder standa"